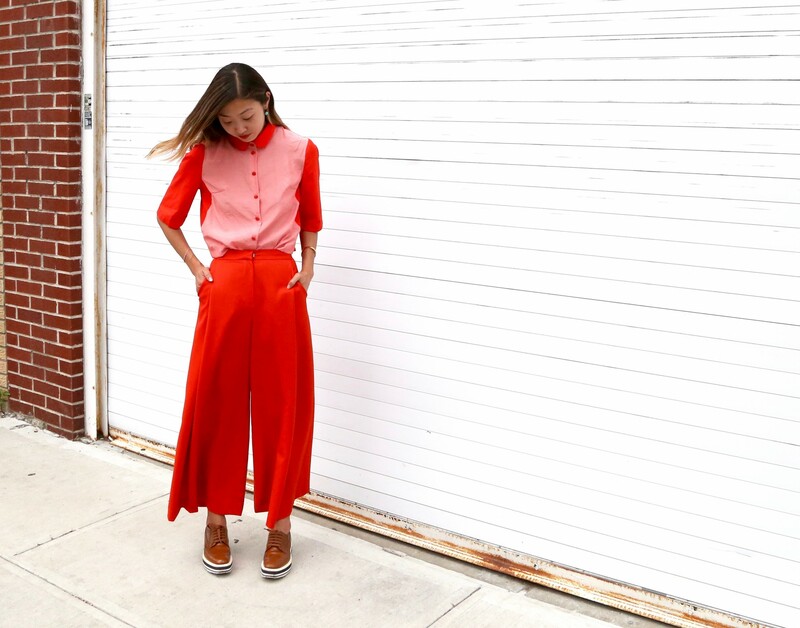 LIE, Red Button Up, shop here! 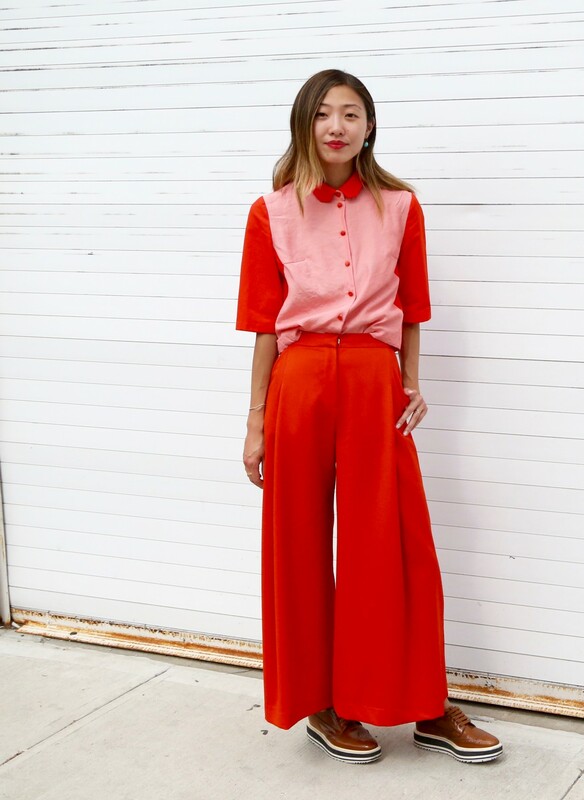 LIE, Red Culottes, shop here! Etsy, Turquoise Boho Earrings, buy here. XIV Karats, Diamond Bar Bracelet, similar here. Catbird, Chevron Ring, similar here.